“Fall Back” and “Fall Behind” are terms used as a guide for adjusting clocks during daylight savings. Fall is a season of transformation; with clocks going back an hour, leaves changing, school resuming and the sun setting earlier each day. With this in mind, fall is often a good time for any facility to revisit some safety precautions. While changing the clocks on walls, looking around and checking or testing emergency exit signs and lights as well as the fire alarm system would be highly beneficial. In the event of a fire or power outage in the workplace, it is important for contingency plans to be set into place to provide for both notifying employees or other building occupants of a danger and allowing for a safe evacuation. Whether it be a power outage or a fire, there are things that any facility can do to provide safety, warnings and assistance– from smoke detectors to fire alarms to emergency lights – all with the goal in mind of providing a quick and safe exit. 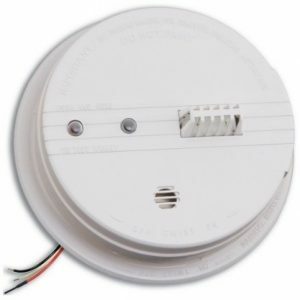 For this reason, it is essential to periodically test fire alarms and replace the lamps or backup batteries in emergency light systems to maintain them working properly and ready when an emergency occurs. 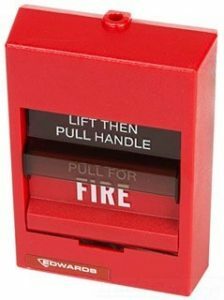 In addition to providing a list of items facilities need to have in an event of a fire or power outage, this article will cover some techniques on just how to test alarms, emergency exit, and emergency lighting systems. There are several reasons to test fire alarms. One of which of course, is to ensure it will work in the time of need, and that it – or its components – don’t need replacing. The other reason is false alarms. False alarms not only have to be paid for by the local fire department, but they also can wind up costing a fine, which is an additional reason testing regularly is important. A requirement for a facility or business’s insurance often times is to have a working fire alarm on the property – and without a working alarm, insurance could be in violation. Not having commercial fire alarms tested each year can cost a facility more than the cost of an inspection, another reason it is urgent to test and maintain fire alarms every year in order to be in compliance with insurance policies. Test and calibrate alarm sensors – such as flame and smoke detectors, per the facility’s instructions or specifications. This will require a knowledge on the different sensors and their testing requirements, failure modes and requirements for re-installation. Simulate inputs and test the annunciators. Set the sensitivity. This requires understanding and knowledge of a particular system, the specific application and fire detection theory. Coordinate with local fire department when testing the input to their system. Check battery for corrosion, as well as the expiration date. If necessary, replace the battery. Most system manufacturers will recommend at least one full annual test and inspection after installation. If improperly maintained, any fire alarm system can become ineffective, which is why it is essential to keep up with testing the system. While checking fire alarms, it’s a good time to look at other preventative fire supply options that may be missing. Perhaps now might be a good time to pick up fire suppression foam, sealants and more. Consider replacing an existing smoke or carbon monoxide detector as well. Every day, power outages occur for one reason or another all across the country. Some may think that the main purpose behind having an exit sign is to mark stairwells and building exists. This is actually a secondary purpose for lighted LED exit signs. 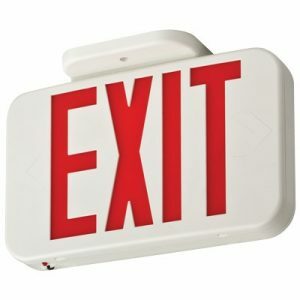 The primary function for lighted exit signs is to provide visibility through smoke. This will allow for finding the exit in the event of an emergency situation quickly. In many circumstances, power outages are brought on by a fire in the building. In these type of cases, it can be difficult to locate the emergency exit – from both a power outage and a presence of smoke. Testing emergency lights is an important step – even in the installation process. One reason for testing once it is installed is to make sure there aren’t any external factors – such as obstructions that would block view of lights. This allows for any last minute changes and adjustments to be made. After installation, regular testing and maintenance is a requirement to any emergency lighting system. While checking these systems seem tedious, it is nevertheless essential. Illumination is necessary along exit access pathways that lead to stairs, aisles and ramps. Typically, emergency lighting is found along walls in compact units. Exit signs are designed to stay on all the time. An exit sign that appears to be working normally may not work at all during a power failure if the low voltage bulbs have burned out. Emergency power to exit signs and emergency light fixtures can be provided by an emergency power generator. Most emergency lights or signs contain a small “push to test” button. This button can be pressed and held for 30 seconds to test the bulbs and the battery. The lights should go on and remain at the same consistent brightness level for the full 30 seconds. Some defective batteries will maintain a long enough charge to fully light up the bulbs for a few seconds, but they can lose power rapidly. By testing these lights for at least thirty seconds, it can make sure the batteries don’t just have a “surface charge”. Emergency exit signs, lights, fire alarms and other fire safety equipment are all available from Steiner Electric. For additional information or to have any questions answered, call Steiner today at 1-800-STEINER (783-4637). Batteries have become integral to modern life. Since the first time a patrolman aimed a flashlight into the dark corners of his moonless beat through city streets, people have hungered for portable electricity. But the effort to mangle the laws of physics into power on demand has taken feats of scientific savagery. Lithium-ion battery technology is the culmination of those feats. Look around you, maybe it’s on your desk, in your pocket, you’re holding it, or it fell between the couch cushions and you’re scrambling to find it because you haven’t checked Facebook in the last 20 minutes. We’re talking about your Smartphone.